I'm one of those people who always has loads of different ideas of things I want to such as creating a scrapbook, re decorate my room but for the most part I I don't really stick to them, so when I started blogging a year ago I never ever thought I would enjoy it so much and still be posting regularly still a year on! I'm so happy I've managed to stick by it for a whole year! Although I have only been blogging for a year I feel like I've learnt so much and my pictures have developed a lot in such a short space of time, but I feel like I have so much more to learn and I can't wait! Thank you to everyone who follows me it honestly means so such that you spend your time reading my posts every week! Heres to another year! 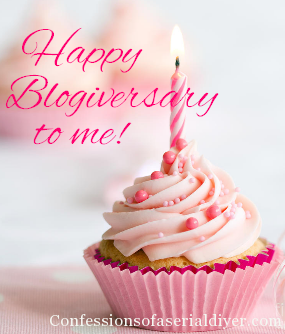 Happy Blogiversary lovely! You have done so well!